Sticking out into the Atlantic Ocean, the City of St. John’s, Newfoundland and Labrador is one of the easternmost locations and the oldest city in North America. St. John’s is the province’s capital and a hub of ocean technology businesses and home to more than 106,000 residents. Tourists also flock to the city, as the St. John’s ports house several cruise ships, along with many natural attractions such as hiking trails and whale and iceberg watching. Within St. John’s municipal government are nearly 1,200 workers, operating under an annual budget of roughly $300 million. To manage all those assets, the city required a modern budgeting software solution. Questica Budget allows for a boost in transparency and accountability without increasing the workload for government employees. The City of St. John’s used budgeting software to assist with its daily and long-term planning. However, Budget and Treasury Manager Derek Coffey felt the old program was unreliable, outdated and inconsistent. The software regularly made accounting errors that employees would need to fix manually and the solutions did not provide modern reporting capabilities or functionalities. The old software also lacked a data reporting tool, meaning city workers had to outsource to a third-party business to enter information and gather analytical insights. The City had to tailor its business process to the outdated software, not the other way around. Because its computer program was unadaptable, the city was locked into managing its budget in an outdated fashion, with little to no flexibility. St. John’s wanted budgeting software it could modify to fit its individual needs. That meant a program that was easy for all users to understand and work with – one that would easily adjust to the changes city governments face on a regular basis. Specific structural and organizational requirements had to be met so that city officials could analyze the cost and benefits of specific departments and positions within the government. Finally, software with strong reporting capabilities, which the program’s predecessor failed to provide, was a major priority for the city. The City became aware of the options Questica provided for public sector financing software through a sales associate government officials had previously worked with. Working with a seller they were already familiar with in the winter of 2014 and ‘15, the officials participated in an online demonstration of Questica Budget to determine if the program fit the city’s needs. Questica representatives then travelled to St. John’s and conducted a Fit/Gap review, showing members of the government’s budgeting office how the system could be tailored to work, specifically, on the issues the city had, while showcasing several advanced capabilities that were not available in the previous budgeting platform. The software is still new, but St. John’s officials project several benefits from the new software in the years to come. Questica Budget allows for a boost in transparency and accountability without increasing the workload for government employees. St. John’s has found Questica Budget to be exactly as efficient as it had hoped. The program is comprehensive, addressing every budgeting issue the city had. We have also has helped in some areas the City did not expect. Our budgeting software includes Advanced Search capabilities, which allows users to analyze actual costs versus the budgeted amounts to identify where any variances exist. Variances that exceed the City’s acceptance thresholds require comments/explanations that are then automatically incorporated into the standard system reports. Questica Budget collects and analyzes data instantaneously, providing reports within a matter of seconds. Questica Budget quickly identifies all common costs that exist across the government’s budget, such as fuel or water use, and allows users to apply global increases or decreases to all selected records. These records can then be locked so that they cannot be modified or changed at the individual department or cost center level as users develop the remainder of the budget. City of St. John’s officials were also impressed with the intuitiveness of Questica Budget. The software is easy-to-navigate and clearly understands what users are trying to accomplish. From an administrative standpoint, the system makes it simple to add new cost centers and positions, with the software capable of anticipating actions and understanding tendencies, further simplifying the process. Learning the ins and outs of Questica Budget was a straightforward process. That made training other staff members on the program equally easy for City of St. John’s officials. The city could scale back its training process because the software could be easily understood and provides a very intuitive user interface. A team of 10 department leads was trained on how to use Questica Budget to address the City’s specific budgeting needs. These individuals then went back to their departments to easily teach other department users how to use the system. The simplicity of the process saved city officials hours of time. With simplified workflow and approval processes, our budgeting solution will prove to be a great benefit to St. John’s officials over the long term. “Their implementers are very knowledgeable and worked closely with us. We scheduled a weekly call, but if we wanted to touch base at any point within that week, fantastic, not an issue. That is what sped the implementation along, their willingness to work with us and their speed to turn the stuff around,” remarked Coffey. 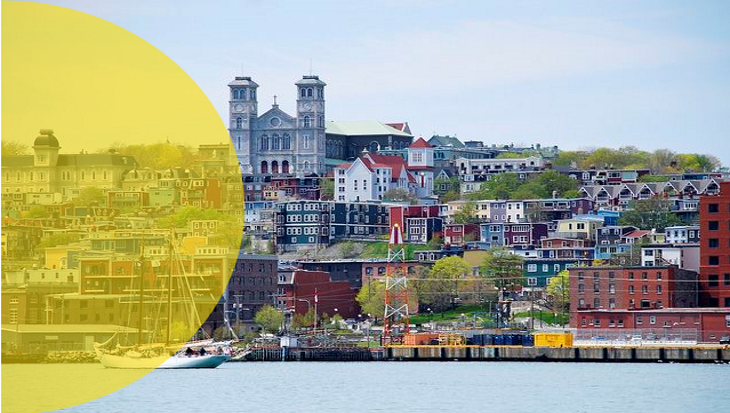 One of the major complaints City of St. John’s officials had with their previous software was that it could not be tailored to the municipality’s specific needs. With Questica Budget, the city can choose how it wants to budget and where specific resources will be allocated. The software gives the city freedom and options when creating specific budgets. That meant, for example, instead of sorting payroll by person, city officials could sort through their preferred option – by government position. Thanks to more efficient budgeting, St. John’s is brilliant.